Do you feel like you have a ‘double chin’ or ‘turkey neck’ every time that you look in the mirror? You may benefit from chin augmentation and neck rejuvenation. At Serrão Rejuvenation Center, Dr. John Serrão – a board certified gynecologist and post-graduate trained cosmetic surgeon, specializing in non-surgical rejuvenation of the face and neck – offers chin augmentation for women in Orlando, Winter Park, and the surrounding areas of Florida. As we age, certain areas of the face and neck may be affected. Some people develop wrinkling and sun damage on their entire face and neck. Some people seem to lose volume or facial fat, while others accumulate excess fat in the neck and maintain good skin tone. Others develop heavy jowls and get very lose skin that may require a skin tightening or lifting procedure. Whatever your chin and neck concerns may be, Serrão Rejuvenation Center has a solution. Many women in the Orlando area have turned to Dr. Serrão because of his almost 30 years of experience in the field of aesthetic medicine. Having performed hundreds of chin augmentations and similar procedures, Dr. Serrão has developed an expertise that makes him one of the most trusted physicians in Central Florida. Many women in the Orlando area have turned to Dr. Serrão because of his almost 30 years of experience in the field of aesthetic medicine. 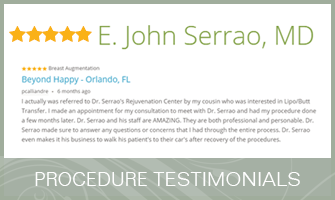 Having performed hundreds of chin augmentations and similar procedures, Dr. Serrão has developed an expertise that makes him one of the most trusted physicians in Central Florida. Every member of our treatment team is professionally trained, certified, and practiced in the procedures we offer so that we can provide our patients with the highest quality care. Chin augmentation and neck rejuvenation may help you look younger. At Serrão Rejuvenation Center, Dr. John Serrão – a board certified gynecologist and post-graduate trained cosmetic surgeon, specializing in non-surgical rejuvenation of the face and neck – offers chin augmentation and neck rejuvenation for women in Orlando, Winter Park, and the surrounding areas of Florida. Contact us and begin your rejuvenation today. Do you feel like you have a ‘double chin’ or ‘turkey neck’ every time that you look in the mirror? You may benefit from chin augmentation and neck rejuvenation. At Serrão Rejuvenation Center, Dr. John Serrão – a board certified gynecologist and post-graduate trained cosmetic surgeon, specializing in cosmetic surgery of the female body – offers chin augmentation for women in Orlando, Winter Park, and the surrounding areas of Florida. Botox® & Fillers – Non-surgical treatments using neuromodulator and dermal filler injections to improve the appearance of the chin, neck and jawline. May be used in combination with other treatments. Kybella® – An injectable to remove the fullness and fat of the double chin. Laser Resurfacing – Fractional CO2 laser resurfacing to reduce the horizontal lines of the neck and lines of the décolleté. Can also tighten the skin of the jawline and neck for overall improvement in skin texture and tone. Liposuction – Laser lipolysis is a surgical procedure that uses micro-cannulas and laser therapy to remove unwanted fat and tighten the skin of the chin and neck. Skinfinity RF – Ablative radio-frequency to tighten sagging skin and reduce fine lines and wrinkles of the face, neck, and décolleté for improvement in appearance. 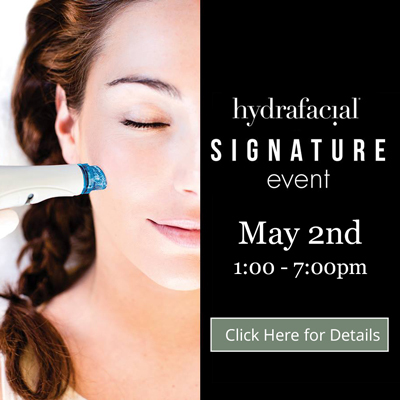 Thermage® – Radio-frequency treatments to tighten the skin of the face, neck and jawline. ThermiSmooth® – A non-surgical procedure that tightens the skin of the face, eye and lips. ThermiTight® – A minimally invasive injectable radio-frequency procedure to tighten mild to moderate sagging skin of the neck and jawline. Can also remove small amounts of unwanted fat. Chin augmentation and neck rejuvenation may help you look younger. At Serrão Rejuvenation Center, Dr. John Serrão – a board certified gynecologist and post-graduate trained cosmetic surgeon, specializing in cosmetic surgery of the female body – offers chin augmentation and neck rejuvenation for women in Orlando, Winter Park, and the surrounding areas of Florida. Contact us and begin your rejuvenation today. How Many Treatments Will I Meed? The procedures for Chin and Neck Rejuvenation may require a single treatment or a series of treatments depending on the method. These procedures may be combined with other treatments for optimal results. What is the Cost of Chin and Neck Rejuvenation? The cost of any procedure varies from patient to patient dependent on the level of correction that is needed. All of our fees will be discussed with you during your consultation and package pricing is offered. You will find our fees to be very fair and competitive for the Orlando area. Several financing options are also available at Serrão Rejuvenation Center. We welcome you to call our office for more details on fees and be sure to check our current specials. What Type of Anesthesia is Used for Chin and Neck Rejuvenation? Most chin enhancement procedures are performed with topical anesthesia and ice. There is typically minimal pain associated with non-surgical options. However, some of the minimally invasive procedures and ablative laser treatments may require some form of mild anesthesia. Serrão Rejuvenation Center is an AAAHC fully accredited surgical center that offers topical anesthesia, ice cooling, oral sedation, Pro-Nox device (a safe blend of oxygen and nitrous oxide) and IV sedation if required. Your comfort and safety is our priority. What is the Downtime of Chin and Neck Rejuvenation? Some of the procedures for chin and neck rejuvenation may have minimal downtime, while some of them have no downtime at all. Many of our patients return to work the same day or within 24 hours after their treatment. How Do You Avoid Unnatural-Looking Results? Who is a Candidate for Chin and Neck Rejuvenation? The best candidates for chin and neck rejuvenation are patients in good health with realistic expectations and who want to improve the appearance of the chin and neck without major surgery. How Do I Learn More About Chin and Neck Rejuvenation? Schedule a consultation to learn more about chin and neck rejuvenation. The educational consultation is of great importance at Serrão Rejuvenation Center and our patients find it to be very informative. You will meet our caring team and tour our state-of-the art facility and AAAHC-accredited surgical center. Dr. Serrão and his cosmetic nurse, Larissa, are dedicated to answering all of your questions and will make you feel comfortable with their friendly demeanor. After reviewing your medical history, Dr. Serrão will listen to your concerns and expectations, perform a complete assessment, and educate you on the options that you have based on his expert recommendations. Together, you will develop a treatment plan that will fit your lifestyle and budget. You may chose to schedule the procedure at the time of your initial consultation, or you may decide at a later time. The consultation is about one hour and the fee will be applied towards the procedure or any purchase in our practice. Whatever your decision, it will be our pleasure to assist you in any way that we can.